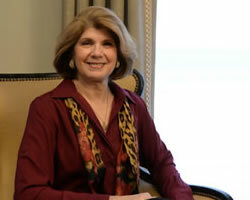 Home » Articles » Nancy Sibrava Launches New Website! I am Pleased to Announce the Launch of my New Website. After months of planning and organizing, designing the layout and writing content, Sibrava & Associates, Interior Concepts has launched their new website. Visit our New Website today and see the Results. Browse through the Products Page and familiarize yourself with the range of products we offer. Visit the Portfolio Page to view a diverse selection of projects I have completed. The Testimonial Page offers an insight about how I work with clients and the level of Customer Satisfaction you can expect. The About Us page will familiarize you with Nancy’s professional background, affiliations and some of the awards she has earned. I’ve never met a house that didn’t have tremendous potential! But I have seen many homes that needed a Designer’s Touch. Consulting with an Interior Designer to update your home offers a fresh, objective approach to the flow of your house beginning with one room and leading to the next area. Colors are easy to change, furniture arrangements are often in need of new additions. Whether you’re planning to redecorate one room, remodel your basement or kitchen, or reimagine your living or sleeping spaces, the benefits of working with a professional Interior Designer will give you the confidence to make the right choices for your home projects – the first time. is the range of products we offer to our clients. You will have a wide variety of furniture, flooring, wallcovering and fixtures to choose from. Interior Design is about all of the elements of your interior environment! Your interiors should be as unique as you are. Call me to talk about what your home design projects are. There is no obligation. I would be pleased to discuss your ideas and design projects and see where my services will fit with your budget.